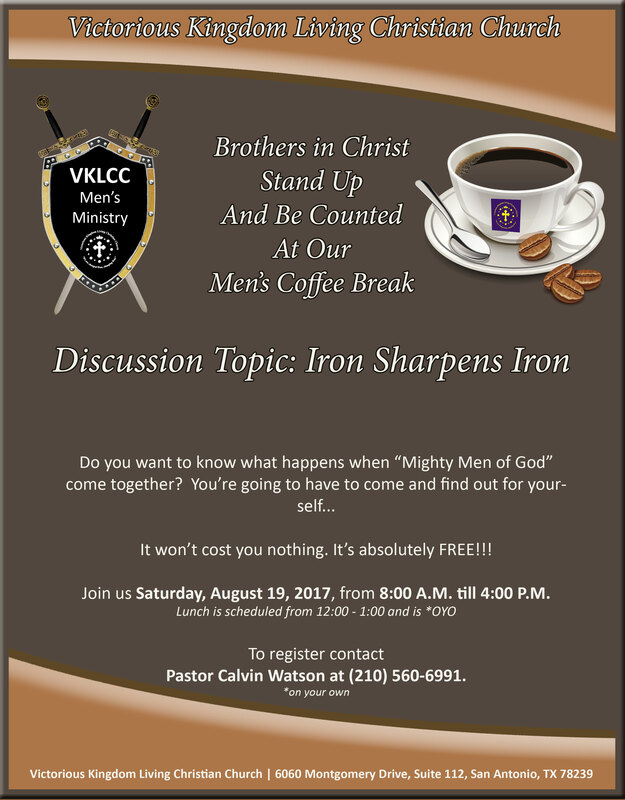 You are visiting this page because you have been invited to attend the Men’s Coffee Break in San Antonio, Texas. You can make a partial payment to hold your spot in the rental home or your can select the options of paying for a full night or the full amount of $140.00 for two nights. Please make your selection below. Please note that there will be no refunds given per our Cancellation and Refund Policy. Payments for this event may not be transferred to any As One Ministry, Inc. event or associate business organizations of As One Ministry, Inc. or any entity it is has created a partnership with in lieu of cancellation. In order to serve our clients, expenses may be incurred by As One Ministry, Inc. in writing to secure adequate meeting space, support personnel, coaches, counselors, program materials and or other resources. Because of this prerequisite, we are not able to make exceptions to the Cancellation and Refund Policy, including personal emergencies. By paying for an As One Ministry, Inc. marriage coaching session, or an associated event with one of our partners, you agree and are accepting of the terms of this policy. Thank you for selecting As One Ministry, Inc. to assist you with your marriage coaching and ministry event opportunities.